Josh Cellars – the wine brand founded by a son to honor his father – is helping spread gratitude to dads everywhere with the first-ever Grand Central Terminal pop up shop dedicated entirely to thoughtful, last-minute gifts for Father’s Day. The pop up shop will be open June 13-15 from noon to 8:00 PM in Vanderbilt Hall. In recognition of all the things dads do and how little they ask in return, Josh Cellars is partnering with mobile gift-giving app Giftagram to bring together a dozen of dad’s most coveted brands, solving the age-old problem of what to gift dad. Visitors to the shop can peruse curated gifts from Crosley Radio, Native Union, This is Ground, RBT and more while sampling Josh Cellars wine, including the new Josh Cellars Paso Robles Reserve Cabernet Sauvignon. Not near New York City? Visit the brand’s online Father’s Day gifting hub, featuring additional curated Giftagram selections – giftagram.com/joshcellars. The brand will donate 100% of the retail selling price of all bottles of Josh wine physically sold at the Grand Central Terminal pop up shop to The Firemen’s Association of the State of New York (FASNY) in honor of Josh’s legacy. The pop up shop is an immersive experience, bringing to life a place special to Joseph Carr and his father: the family garage. This is where Josh gathered with his friends, rebuilding old cars, tools and anything else they could find. The brand worked with film and music industry director and set designer Cristobal Valecillosand experiential agency The Bait Shoppe to bring the vision to life. The shop features old family photos, workbenches, antique tools and tribute messages. The shop will host the Haiku Guys + Gals, who will create free custom “haikus of gratitude” for dads on vintage typewriters, and the cards will be sent to dad. Visitors will also have the opportunity to have personalized message engraving at Grand Central Terminal on bottles of Josh Cellars purchased at the shop or through other retailers. The shop will feature the newest addition to the Josh Cellars portfolio, Josh Cellars Paso Robles Reserve Cabernet Sauvignon, which has robust flavors of blackberry, plum, coffee, and smoky spice. 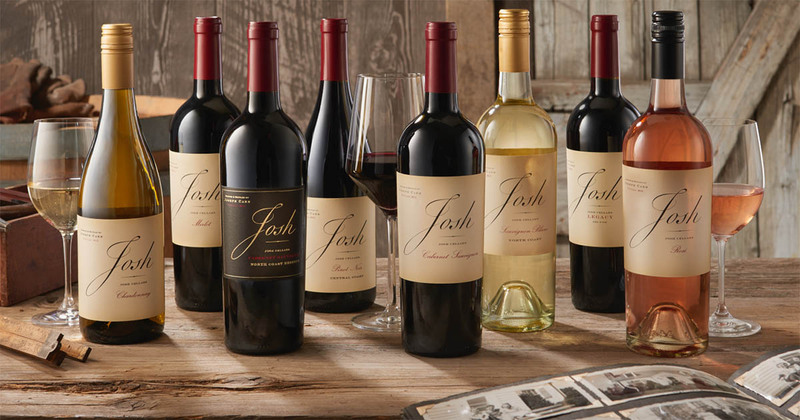 The Josh Cellars Reserve Collection showcases the brand’s commitment to quality and the story of Josh, a genuine craftsman with a passion for details. Josh Cellars worked with online and mobile curated gift giving app Giftagram to design three specialty boxes for the Grand Central Terminal shop, each tailored to dad’s interests and all line-priced at $99. All boxes include Josh Cellars Paso Robles Reserve Cabernet Sauvignon. Travel Dad includes a Shinola linen journal, Away Dopp Kit and Malin and Goetz Essential Kit with personal care products for face, body and hair. Gourmet Dad includes Wildwood Grilling Wooden Planks, Oaktown Spice BBQ gift set and chef Michael Symon’s new grilling cookbook Playing with Fire. Wine Lover Dad includes a Sempli Cupa-Vino glass and RBT Wing Corkscrew. These boxes will be on display at the Grand Central Station pop up shop and available to purchase via Giftagram, either by ordering through representatives on-site or online while supplies last. Josh Cellars Reserve features truly premium wines from elevated appellations with longer oak maturation than Josh Cellars and are the pinnacle of the Josh Cellars range. Josh Cellars Reserve offers balanced, delicious wines – such as the new Josh Cellars Paso Robles Reserve – that are true to the varietal and the appellation where the grapes are grown.